You can access the NMS Match System by selecting the Log In option in the menu button in the top-right corner of the screen. To log in to the NMS Match System, you will need to use the e-mail address and password that you previously established in the NMS Match System (e.g., when you registered your program to participate in the Match). If you have more than one track registered in the Match, you will be presented with a list of the tracks after you log in to the system. You must select a track from the list in order to reach the Dashboard page for the track. If you are a new Program Director and do not have access to the login information created by the former Program Director, you must send a signed request to NMS, on program letterhead, providing your e-mail address and requesting that NMS update the account information for your program. The letter can be sent to gcadmissions@natmatch.com. After you log in to the NMS Match System for a track, you are presented with a Dashboard. The Dashboard shows your track’s current status in the Match, the number of positions being offered, and information about the track’s rankings for the Match. If you have more than one track registered for the Match, you can use the Switch button at the top of the Dashboard to access the Dashboard of your other track(s) without having to log out of the system. The Status section shows the track's participation status in the Match. All registered tracks that intend to offer positions between May 1, 2019 and January 31, 2020 should have a status of Active. The status of a track can be changed in the NMS Match System until the Rank Order List deadline. If the track no longer has positions to offer, it should be withdrawn from the Match. If the track has positions available but no acceptable applicants to rank, you should not withdraw the track but should certify a Rank Order List with No Ranks. If you have withdrawn a track, but now want that track to participate in the Match, you can reinstate the track prior to the Rank Order List deadline. The terms of the Program Agreement state that all available positions that start between May 1, 2019 and January 31, 2020 must be offered through the GC Admissions Match. The number of positions offered by a track can be changed until the Rank Order List deadline, April 16, 2019. The Rankings section of the Dashboard provides a summary of the track's Rank Order List information. The summary information shows the number of ranks on the Rank Order List and whether or not the Rank Order List is certified for use in the Match. 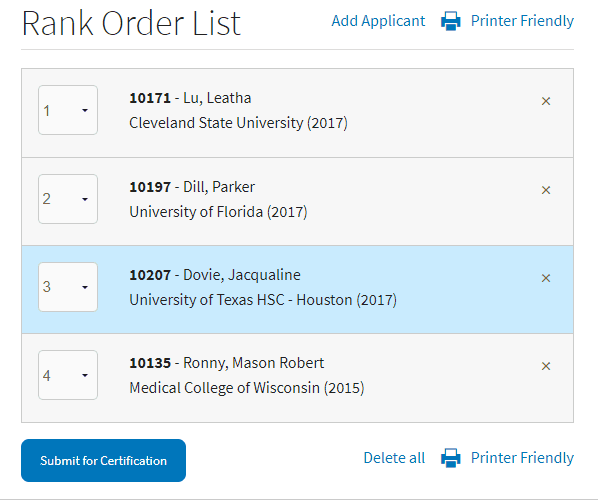 Select the Edit button to access the Rank Order List, view the rankings, make changes or certify the list. 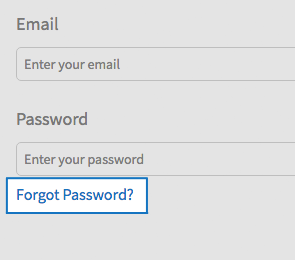 You can change your e-mail, password and security questions in the Account section of the NMS Match System. Ensure your e-mail address is correct as all Match communications, including your program's Match results, will be sent to that e-mail address. If you are responsible for more than one track, any changes you make to your Account information will apply to all of your tracks. Use the Add New Track button in the Account section to add an additional track to your program. Select the number of positions to be filled in the new track between May 1, 2019 and January 31, 2020 and edit the description of the new track. The description of the new track must be unique and clearly distinguish that track from any other track offered by your program. The Track Code Number will be assigned to the new track automatically by the system. You can add a track to your program online prior to the system opening for rankings on April 2, 2019. If you wish to add a track after this date, you will need to contact NMS. The Profile section in the NMS Match System shows the Code Number and description of the track, as well as program information (Program Display Name, Program Director name, mailing address, telephone number and fax number). You may edit most of the information in the Profile section until the Rank Order List deadline. However, you cannot change the program's display name or the track description once the NMS Match System is open for the entry of rankings. Note: If your program has more than one track in the Match, any changes you make to the program information for one track will be made automatically for all tracks at the program. You cannot have different contact information for different tracks within your program. You must enter and certify a separate Rank Order List for each track offered by your program in the Match. Most tracks should enter their rankings using the web-based interface provided on the Rankings page. However, if you have a very long list of applicants to rank (e.g., more than 40) and you have a pre-existing file of those applicants in an acceptable format, you may find it easier to import a file of your rankings into the NMS Match System. 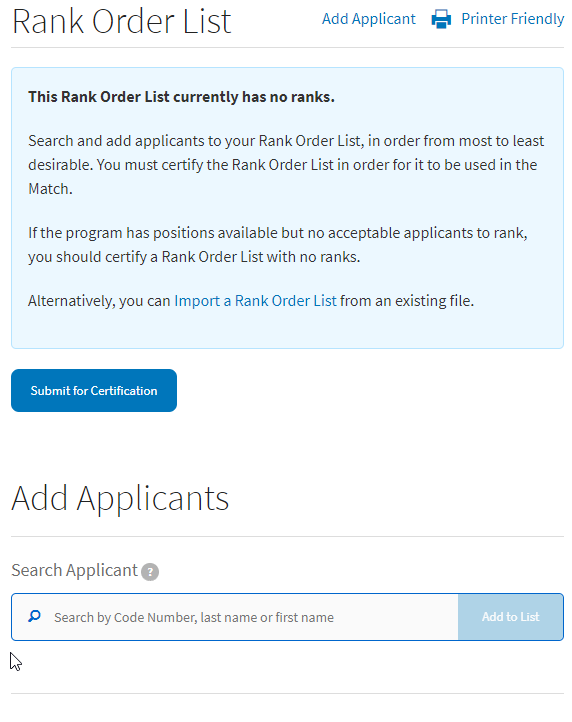 To import a Rank Order List into the NMS Match System, you need to generate a comma-separated text file (.csv) with the Match Code Numbers of the applicants to be ranked. Review the instructions found at the link below to read more on how to import a file of your rankings. You will also be able to view and print your Rank Order List(s) until 4 days after the Match results are released. 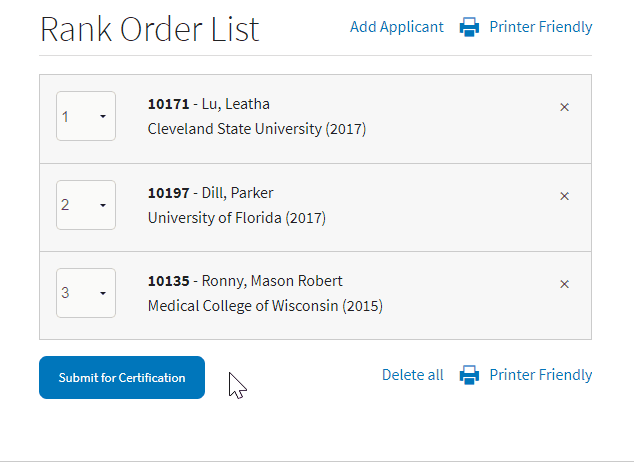 If the track has position(s) available that you would like to fill but you have no acceptable applicants to rank for that track, you should certify a Rank Order List with no ranks. Most programs will need to submit only one Rank Order List for each track in order to match with the most desirable applicants. However, some tracks may have special requirements that can only be satisfied by submitting more than one Rank Order List for a single track. This feature is useful if a track needs to recruit a mix of applicants with specific characteristics (e.g., language fluency, school of graduation, undergraduate major, etc.). To accomplish this, you must divide your track's available positions into separate types, designate how many positions to allocate to each type, and submit separate Rank Order Lists for each type of position. Certifying the Rank Order List tells NMS that the rankings are complete and the Rank Order List is ready to be used in the Match. You must certify the Rank Order List before the deadline in order for the list to be used in the Match. 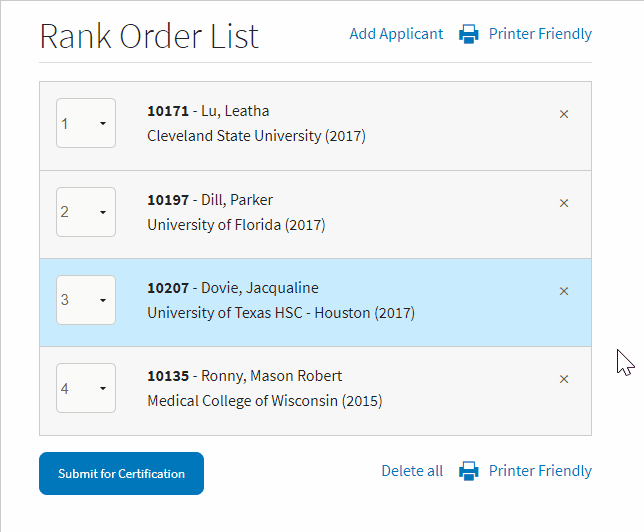 You are strongly encouraged to enter and certify your Rank Order List(s) well before the deadline date to avoid potential system access problems near the deadline. All Rank Order Lists must be certified by 11:59 p.m. ET on the Rank Order List deadline April 16, 2019.